A Jefferson County woman is suing the owners of a deer camp and several Nederland residents, alleging negligence in the death of her daughter. Carmell Hergert, individually and as representative of the estate of deceased Stevie Ray Hergert, filed a lawsuit Nov. 4 in Jefferson County District Court against Crown Pine Timber 1, Campbell Timber Management, Stan Fesmire, Nicholas Fesmire, Bryce Hoffpauir, Ethan Traxler, and Kenneth Beach, alleging premises liability and negligence. On July 31, the suit states, Stevie Ray Hergert, 16, went with six other teenagers, Nicholas Fesmire, Bryce Hoffpauier, Ethan Traxler, Allison Griffiths, Kayla Beach and Jonah Hernandez, to stay overnight at a deer camp in Newton County owned and managed by Crown Pine Timbers 1 and Crown Timber Management, and leased to Fesmire's father, Stan Fesmire. The suit states the teenagers consumed alcohol in excessive quantities that night. At 3 a.m., a group of the teenagers, including Stevie Ray Hergert, left the camp and began riding around the premises on UTVs, the complaint states. 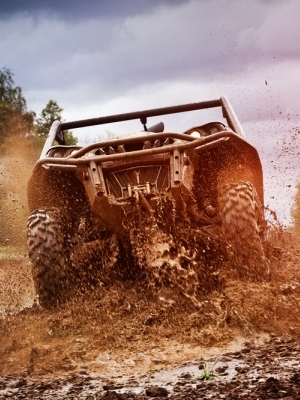 At a fork in the road where County Road 1115 meets County Road 1114, the driver of the UTV carrying Stevie Ray Hergert turned sharply, causing the UTV to slide and roll, strike the edge of the dirt roadway, pitch right, and eject Stevie Ray Hergert, the suit says. She landed approximately 20 feet away and struck the back of her head and body on the ground, the suit says. Allison Griffiths assessed her condition, the suit states, and then she and Bryce Hoffpauier placed her on the back of the UTV and returned to camp. The suit says, with the help of a neighbor, they called 911 and led paramedics to her location. Stevie Ray Hergert later died of her injuries. The suit alleges the condition of the premises posed an unreasonable risk of harm as the difference between the grade of the roadway and the surrounding terrain created a dangerous condition for vehicles. The lawsuit further states several of the defendants were negligent in engaging in excessive alcohol consumption and providing alcoholic beverages to minors. Carmell Hergert seeks monetary relief of more than $1 million, including damages, costs, penalties, expenses, interests and attorney fees. She is represented by attorney David W. Starnes of Beaumont, and by attorney Randall O. Sorrels of Abraham, Watkins, Nichols, Sorrels, Agosto & Friend in Houston.